Jenna is an artist by trade. She has studied at Montserrat College of Art and earned a BFA from Massachusetts College of art and Design. Jenna discovered her love for the art of microblading a few years back after spending much of her time in and around the tattoo industry. While collecting and admiring the craft, microblading hit the scene and she was fascinated by the process.With a background in drawing and painting the transition into this career was a natural fit. 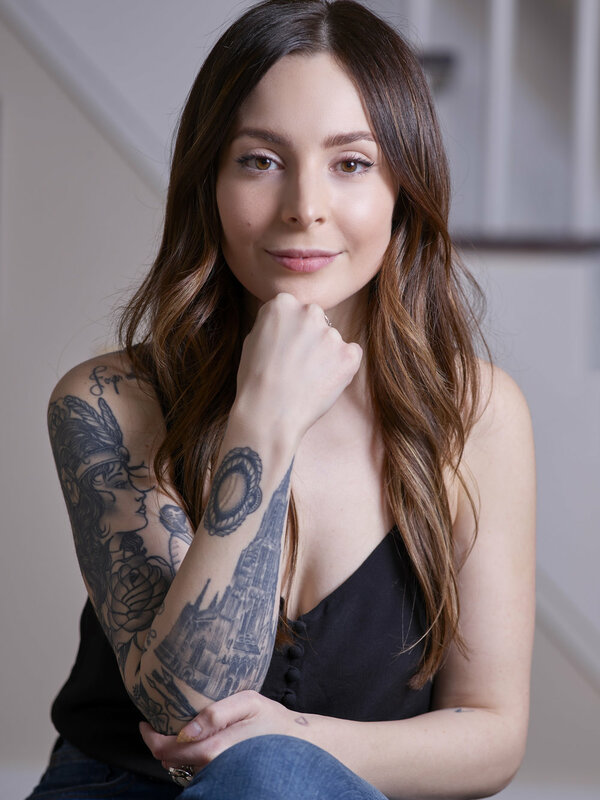 Trained and certified on Newbury St. in Boston and having worked in the East Village of Manhattan, Jenna has gained a solid background in cosmetic tattooing. She enjoys providing her clients with the best brows for their specific needs. Natural and one of a kind brows are her specialty. Jenna is always continuing her education to provide the best in the industry. When not working she enjoys antiquing, collecting tattoos and large format photography. Please read our FAQ page before inquiring about a consultation with Jenna. Because of the high amount of messages we receive, forms that are not compliant to our simple list of requests will be ignored. Please include if your skin is typically oily, dry or a combination.